Are these movie and TV narratives reflecting the unforeseen isolation of the iPod age? As we further individualize our mediated and cultured lives and embrace the freedom to dance to whatever cultural beat we like, are we simply left spinning and dizzy? 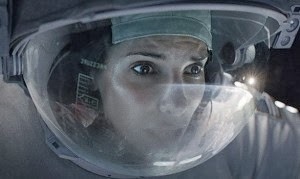 That’s certainly the way I felt after watching Gravity and, to a lesser extent, All is Lost: dizzy, unsteady, destabilized, sea-sick. I was left feeling hungry for ballast, for anchors, for solidity; for something outside of myself to offer orientation.